We can put the color back into the carpet by neutralizing and adding the dye back. If not completely satisfied with the final result of the spot dye, a technician can patch the area if needed. We are only able to change the color of the carpet if we stay in the same color family. 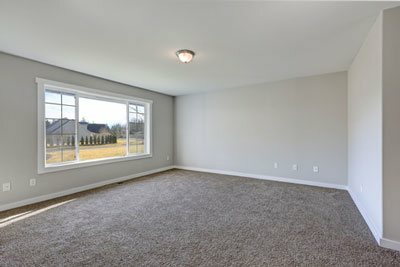 Such as, we can take light beige or brown carpet to a chocolate brown or a light green to a medium or dark green end result. Dying will not work if you change color families, such as making a purple carpet green. Step 1: Clean the carpet to adjust the PH to an equal level across the carpet. Step 2: Remove stain resistance properties such as on 5th and 6th generation carpets. The Teflon protector and acid dye blockers are removed. Step 3: The carpet is tested and now the dye can be applied. Step 4: The acid dye blockers and Teflon Protector are reapplied and forced dry. Please note: If any stains from but not limited to heavy grease, soil, and dispersed dyes are in the carpet, they will have to be removed before the cleaning process. If not, these stains will take on the dye at a different shade and will be visible in the end result. Contact us today to dye your carpets the right way — The Magic Way!